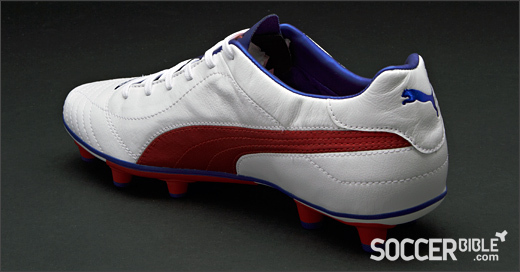 PUMA complete their EURO 2012 pack with the release of the all new White/Red/Limoges King Finale SL football boots – a refreshing addition to the popular King SL collection. 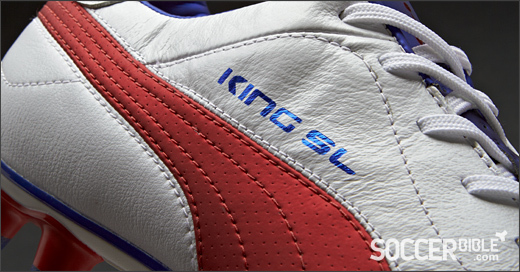 With a premium design and strong colourways to match, the King SL could have a great summer and 2012/13 season ahead! The German brand have decked out each of their three silo's with the same colour scheme ahead of the UEFA Euro 2012 Championships – and we're loving each one! It will be a battle-of-the-brands in Poland & Ukraine this summer, with PUMA packing some strong amunition so far. How do you see PUMA's Euro collection performing? 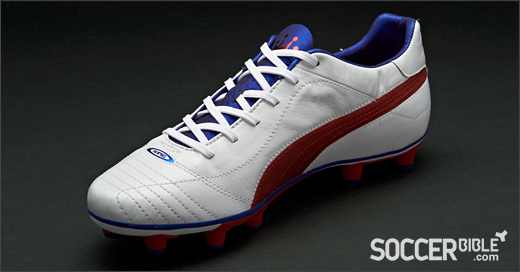 On the professional circuit, the PUMA King Finale SL won't get as much game time as the PowerCat 1.12 or evoSPEED 1. 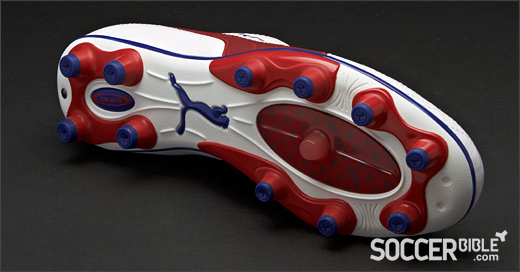 Nevertheless, PUMA's super-light heritage boot has been one of the game's best received soccer shoes of the past year. 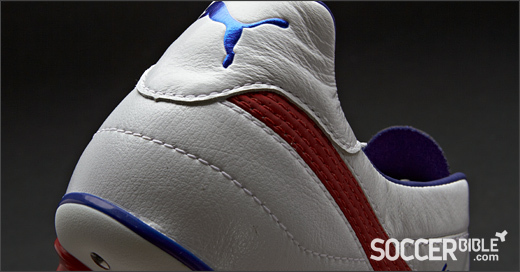 Now PUMA continue with their strong line-up of colourways with the new White/Red/Limoges King Finale SL. Puma have been right on the money with their colourways this year. The same White/Red/Limoges design will run across each of the brand's three silos set to be worn by PUMA's stable of international stars at the European Championships. Featuring the evoSPEED 1, PowerCat 1.12 SL and King Finale SL, we can't wait to see this collection getting some game-time from the likes of Fabregas, Gomez and co! The modern boot market demands lightweight products. 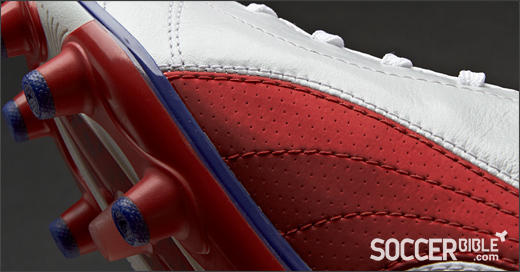 Twenty years after the first King SL, the remastered modern classic takes the boot to new levels. 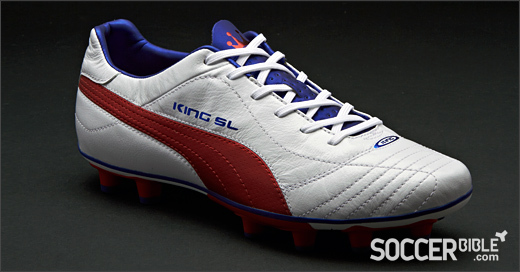 Puma have shaped the new King Finale SL for today's game. Lightweight leather football boots remain the most sought after in the market and when it comes to lightweight boots, it's all in the details! As the super-light adaptation of Puma's popular King Finale, the supercharged SL's have some fundamental differences that have gone down well with their professional playing roster. When you've got the likes of Thierry Henry and Mikel Arteta describing them as the best boots they've ever worn, you know you have something special! The upper material is a thin premium K-Leather which is very lightweight and shapes perfectly to the foot for the same glove-like fit and ball feel you'd expect from any PUMA King. The boots weigh an impressive 218g (7.7oz), but when in hand, the boots feel considerably lighter than the scales may reflect. Another significant change is the alteration to the heel counter, with all excessive materials being stripped back in another move to reduce weight. 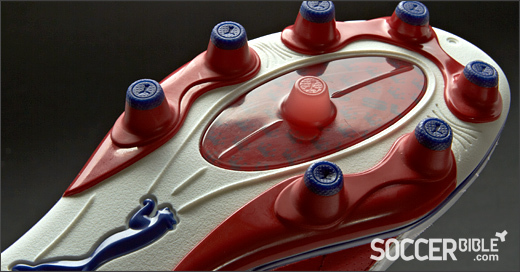 The TPU injected outsole does however remain. The iconic fold over tongue has been left on the cutting room floor. In it's place is a sleek new perforated design. The form-stripe is now an integrated feature of the light K-Leather upper instead of being another overlay of stitched material. The new White/Red/Limoges PUMA King Finale SL football boots are available to pre-order now and will begin shipping from June 1st. They will hit shelves alongisde the PowerCat 1.12 and evoSPEED 1 at the standard King SL price of £160.00 GBP / $200.00 USD / €190.00 EURO. 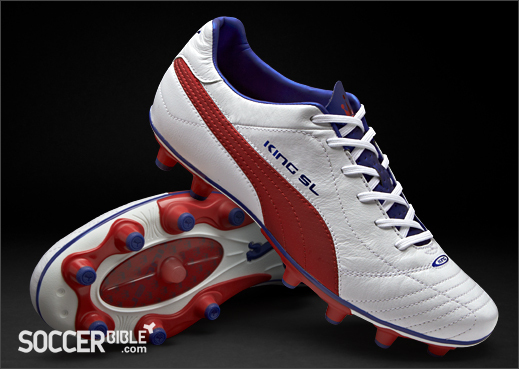 Now that you've seen the new White/Red/Limoges PUMA King Finale SL football boots, let us know what you think! 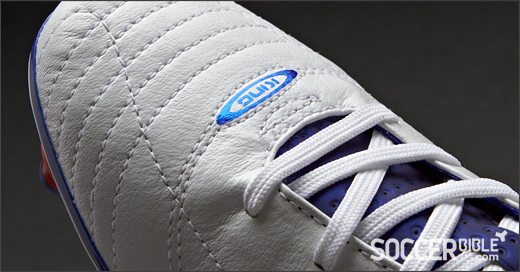 Share your thoughts with the SoccerBible community online, on Twitter and on Facebook.